3. 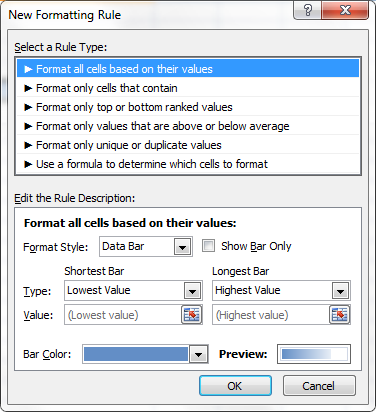 Under New Formatting Rule, select "Format all cells based on their values". 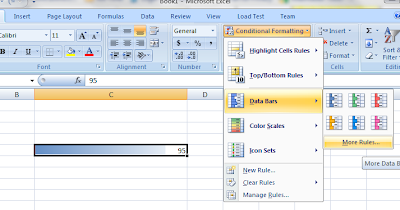 Choose "Data Bar" as the format style and Select Number as type of the shortest and longest bar. 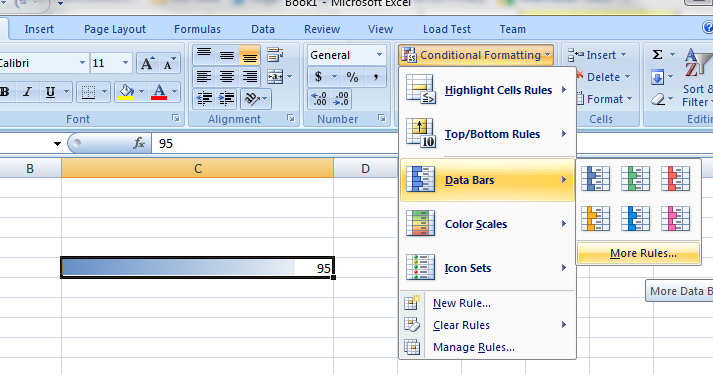 Lastly select the bar color and click Ok.